Renowned scientist and best-selling author Jane Goodall delivers an eye-opening and empowering book that explores the social and personal significance of what we eat. 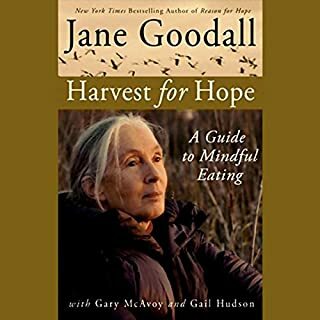 In Harvest for Hope, Jane Goodall presents an empowering and far-reaching vision for social and environmental transformation through the way we produce and consume the foods we eat. At 23, Jane Goodall made her first voyage to Africa and began her determined steps to achieve her goal of studying animals by living among them. 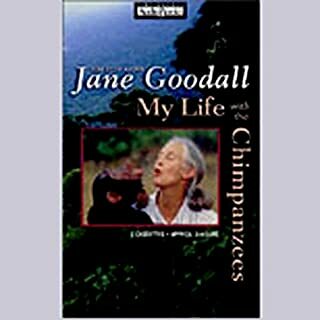 In My Life with the Chimpanzees, she shares the remarkable journey which took her from her childhood in London to the realization of her dream in the wilds of Gombe, Tanzania. Interweaving her own first-hand experiences in the field with the compelling research of premier scientists, Goodall illuminates the heroic efforts of dedicated environmentalists and the truly critical need to protect the habitats of these beloved species. At once a celebration of the animal kingdom and a passionate call to arms, Hope for Animals and Their World presents an uplifting, hopeful message for the future of animal-human coexistence. How can you not add this to your collection? I am a Pagan by choice and feel very tied to the Natural world. 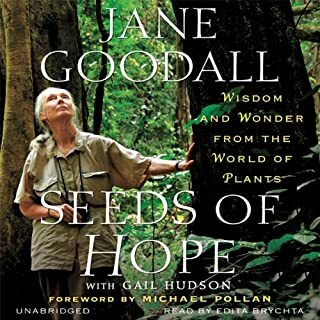 From the describtion you would thik I would not be attuned to Jane's message (and you do feel like calling her Jane as well as Dr. Goodall) after going on this journey with her. But she is fair to all points of a view, and you get glimpses of a life well-lived and a good mixture of her personal philosophy and the events of her life. It is a remarkable thing to have an opportunity to visit with Jane for 6 hours. This is so good, it is almost worth getting and aubile account for just this one book. Must, a total must, for anyone with kids, especially daughters who show an interest in science and the natural world. Which really should be all kids, shouldn't it? I rarely read nonfiction. I rarely read a book twice. This book has captured my heart so much....I plan to reread it on a regular basis. 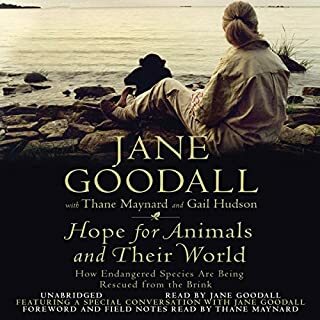 The only thing that I can think of which would be more enjoyable than listening to this book would be an opportunity to chat with Jane Goodall in person! It was really good, it's fascinating how she work her way around all these obstacles, it's an inspiration to everyone. I truly enjoyed listening to it, it was really interesting with the author narrating. 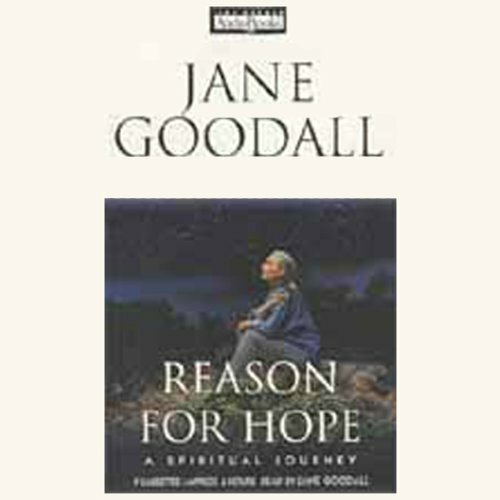 What did you love best about Reason for Hope? 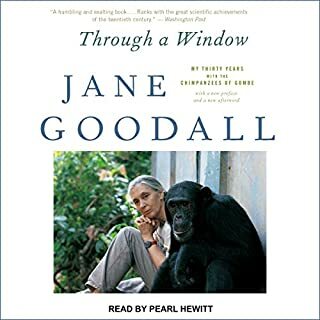 I loved how Jane was able to weave together anecdotes from her childhood, observations in the forests of Gombe, experiences as a wife and mother, and her work as a researcher into a cohesive story of her personal psychological, emotional and spiritual evolution. What was one of the most memorable moments of Reason for Hope? So many, but the story of chimpanzee David Greybeard's reaching out to express gratitude was particularly moving. Dr. Goodall's retelling of her life experiences are expressed with great honesty and emotion. To hear her read the book with her own calm yet earnest voice is priceless. Hers is a remarkable journey, which includes growing up in wartime, living in war-torn Africa, visiting the remains of Nazi concentration camps, and traveling the globe with an insatiable desire to learn and teach. Her lifelong search to understand cruelty and compassion among human beings and animals is, for me, deeply moving and relevant. This is a must-listen for those of us who have felt a connection with the Divine in nature, and seek to experience more peace and express more compassion in a tumultuous world. Jane Goodall seems to have a meditative lucidity in her descriptions and discussions. Her reflections on her apes and ensueing assessments of humanity are too much... I can't get enough. This is a super-compelling story. It was an interesting story and I enjoyed the book but it was not stellar. Dr. Goodall provides an amazing account of her travels, her life's journey and her insights as to where our world, and humanity, is headed. Wonderful life story filled with passion, despair, courage, and reassurance. Dr Goodall is magnificent and inspiring. I was so disappointed that it was not only abridged but not abridged well. I had a hard copy (I often read and listen to my books at the same time) and it was impossible to follow along. On a positive note, the full book was awesome. Jane Goodall is amazing. 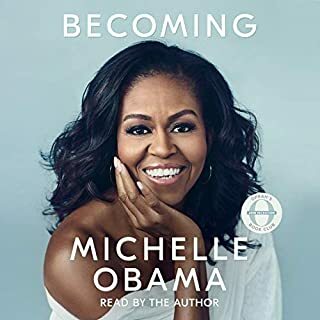 LOVE that she read her own book! I wish more authors would do that!